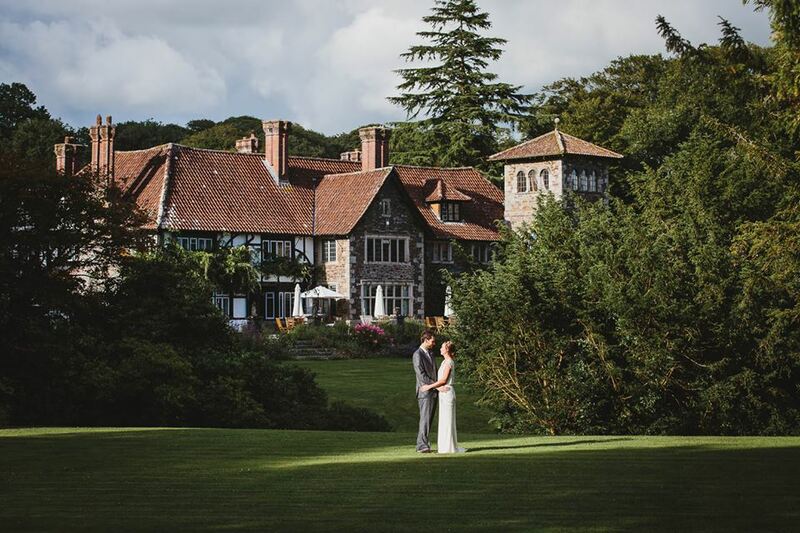 Last July Tamsin & James had a beautiful wedding here at Coombe Trenchard. The sun shone, and the whole day was filled with love and happiness. We asked Tamsin to tell us about her special day. It was the perfect balance of meeting both our budget and our criteria for a wedding venue. We wanted somewhere in the beautiful Devon or Cornish countryside, away from other buildings, with the licence to hold the ceremony on site, and to allow the freedom to choose our suppliers. The fact that Coombe Trenchard were able to provide our preferred wedding breakfast of afternoon tea - was the icing on the cake! So these reasons were why were drawn to the venue, but once we actually visited, viewed the stunning house and grounds, and meeting Sarah - our minds where made up. Of course, Pinterest was the starting point. 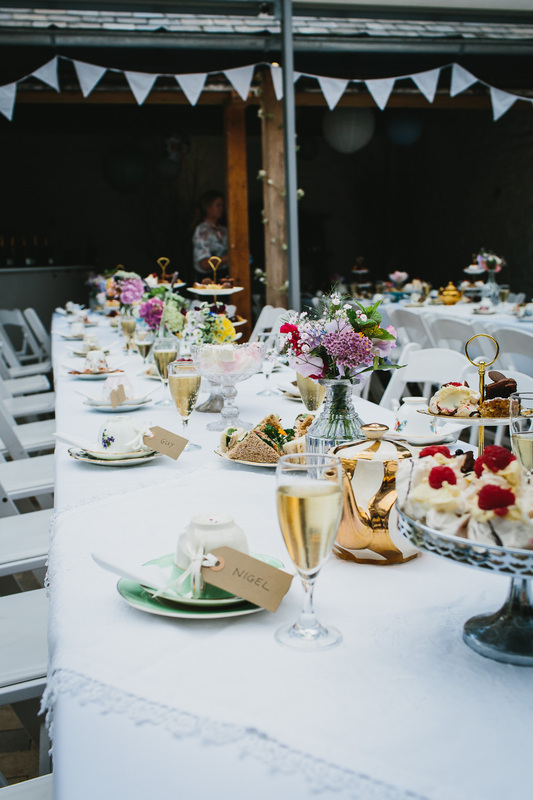 We wanted to create a relaxed garden party style wedding and there was plenty of ideas on the colour scheme, decorations and food etc. 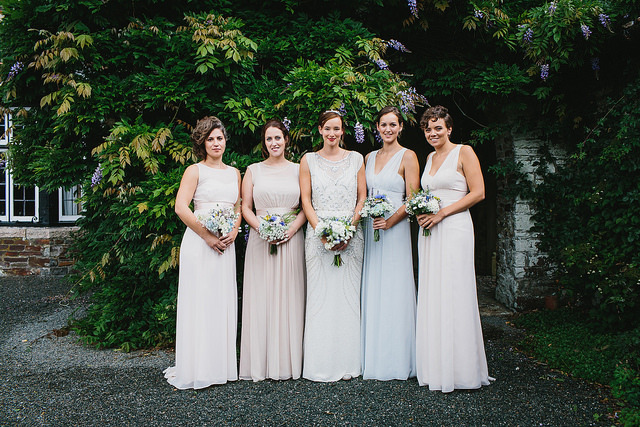 I actually based the colour scheme on my bridesmaids dresses which combined grey, cream, and beige tones. A lot of time spent searching on Google and acquiring quotes! Get initial quotes by asking for an 'event' quote, since mentioning the word 'wedding' to some suppliers, seems to give licence to up the price! The afternoon tea and speeches. What advice would you give to future Coombe Trenchard bridal couples? Have a good night sleep the night before. Have your wedding breakfast in the coach house. If you rent a marquee, specify in the contract, that it must be setup to an acceptable standard by 3 days prior to the wedding. Ensure an appropriate balance of ladies and gentleman's typical drinks post ceremony, pre wedding breakfast. We went on a wonderful trip to the deep south of Cornwall, then Sri Lanka immediately after the wedding. It was brilliant to do this straight afterwards. Now life is all back to normal, in Aspley Guise, with Mabel the cockapoo. Except we have wedding rings, lots of great photos and memories, and a kind of feeling of 'adultness' when introducing one another as 'my wife' or 'my husband'. Marquee Company (if applicable): Godney Marquees put one up, and then because it was so awful, took it down again causing last minute issues. I personally recommend they are avoided at all costs - dreadful service. Bar Company: Thirst Choice - http://thirstchoice.org.uk/ - Excellent!